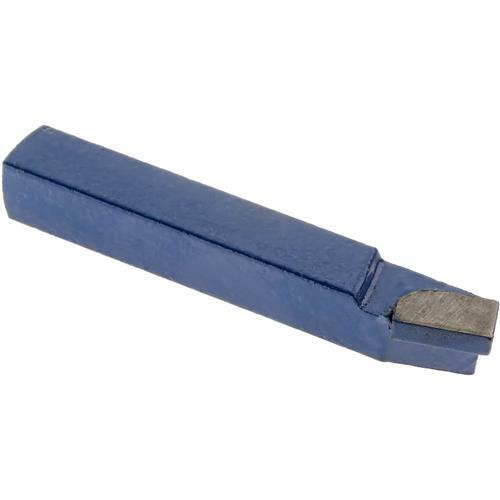 For general machining operations, these carbide tipped tool bits feature C-5/C-6 carbide for cutting steel and steel alloys. For 5/16" tool holder. Size: 5/16", Type: BL-5. I bought this and the AL-5 (G6554) to use in a single flute fly cutter on a mill. I was cutting cheap steel with lots of hard inclusions that wiped out my HSS bits. These did the job perfectly. Beautiful smooth cuts, nice finish. One knock: I had to strip the paint off them to make them fit the fly cutter. The paint also interfered with seating the tool: it's excessively thick and the tool actually flew out of the cutter head once before I stripped the paint..